The mission or the Outdoor Youth Days is to foster an awareness, respect, and enjoyment of Alaska’s natural resources and to promote outdoor activities that include the shooting sports, fishing, and other outdoor skills in a safe and ethical manner. 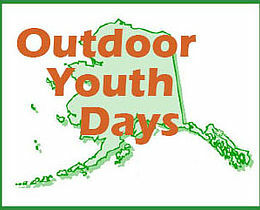 Outdoor Youth Days is a three day camp program for youth ages 10–14 and is made possible by a cooperative effort between the Alaska Department of Fish and Game (ADF&G) and the Outdoor Heritage Foundation of Alaska (OHFA). Other key supporters include the SCI Alaska Chapter, the Rocky Mountain Elk Foundation, BP, ConocoPhillips, Caelus Energy, SCI Kenai Chapter and community volunteers. Taught by Alaska Department of Fish and Game employees and volunteers, this fun and exciting three day camp includes firearms safety, shotgun shooting, .22-caliber rifle shooting, archery, map and compass, outdoor survival skills, spin fishing, fly fishing, wildlife ID and tracking, boating safety, watershed ecology and more. ​For current schedule and to register, click here.